David F. Carr oversees InformationWeek's coverage of government and healthcare IT. He previously led coverage of social business and education technologies and continues to contribute in those areas. He is the editor of Social Collaboration for Dummies (Wiley, Oct. 2013) and was the social business track chair for UBM's E2 conference in 2012 and 2013. He is a frequent speaker and panel moderator at industry events. David is a former Technology Editor of Baseline Magazine and Internet World magazine and has freelanced for publications including CIO Magazine, CIO Insight, and Defense Systems. He has also worked as a web consultant and is the author of several WordPress plugins, including Facebook Tab Manager and RSVPMaker. David works from a home office in Coral Springs, Florida. Contact him at [email protected]and follow him at @davidfcarr. Microsoft's new boards feature makes it easier for MS Office users to find and share work-related information. Long a pioneer in adopting electronic medical records, the University of Pittsburgh Medical Center is on the verge of making them work together in new ways. For six simulated space explorers, practicing for a Mars mission means never having a real-time conversation with anyone "back on Earth." A journalist who writes about software writes his own and finds out coding is not easy. In fact, easy is particularly hard. NY-Presbyterian CIO Aurelia Boyer says the need for mobile innovation has driven her back into the application development business, but she wants to keep it manageable. Comets and capsules grabbed top headlines, but robots racked up some firsts, the commercialization of space saw advances and setbacks, and the US prepared to resume manned space launches. Retired from government service, Linda Cureton is putting long hours into a consulting business (but also envisioning a "real" retirement someday). Some CIOs "retire" but then consult. These five decided to do something completely different. European Space Agency made history with a robotic comet landing. Now can it debug a critical glitch before the lander floats away? Technology and business leaders from Goldman Sachs, Kaiser Permanente, and other heavyweights gather at the Apptio-sponsored Technology Business Management Conference in Miami Beach to trade ideas. Brought in as a midseason replacement after the disastrous October 2013 launch of the Affordable Care Act website, Accenture says this year's open enrollment period should go much more smoothly. Harper Reed talks about the pressure-cooker challenge of building an email-powered, microtargeted online fundraising machine in a hurry. See the video interview from Interop. Watch candid interviews with Interop New York attendees and keynote speaker Harper Reed on 3 hot topics: Windows 10, iPad vs. large-screen phones, and Internet of Things. Putting fault aside, facts of the case align with a common pattern where the use of EHRs contributes to medical errors. What should this unusual case teach us about EHRs and routine? Creator of cloud apps for government buys Government Outreach, known for citizen relationship management tools. Apple co-founder Steve Wozniak wants to see engineers get more respect, have more fun, and play nice. A tight but effective IT budget creates opportunities for new investments in digital government, say government IT leaders at Gartner Symposium. IT leaders need to keep building solid, reliable systems, while also devoting more attention to digital experimentation. From the InformationWeek Leadership Conference at Interop: Business units won't wait, so you may as well help them do things right. Silicon Valley is obsessed with data collection, including personal data. But for health and fitness monitoring technologies, the real goal must be meaningful health results. Healthcare disruption is real, the MediFuture event showed. How you react determines whether it's a threat or an opportunity. Onetime "Catch Me If You Can" swindler turned anti-fraud consultant says identity theft is "4,000 times easier" than when he was living a life of crime. Open Source Fix For US Voting System? Open source programmers and maverick election officials want to improve the way we vote, register to vote, and count the votes. Wish them luck. NASA moves nasa.gov and engineering apps to Amazon Web Services and open source software, transforming space agency's infrastructure. 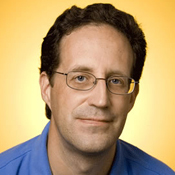 Megan Smith, known for her work with Google's advanced technology exploration arm, replaces Todd Park as CTO. Job one: federal tech innovation. Drawbaugh, whose inventive approach to healthcare IT and revenue creation earned UPMC a No. 1 ranking in the 2013 InformationWeek 500, is leaving his role after 18 years. The XPrize competition promises to make Star Trek's Tricorder a reality of sorts, with the winning device a compact sensor for vital signs and a variety of diseases. Check out these mockups from the 10 finalists. Fortune Magazine is reporting White House CTO will leave that post but may help with Silicon Valley recruiting. Oracle first sued Oregon, and now the state responds with lawsuit claiming the company's "shoddy" performance is to blame for health insurance exchange website debacle. At the 2014 GRC Conference, House IG Theresa Grafenstine argues internal auditors must be more forward looking -- and explains why being exempt from regulations just makes her job harder. From space exploration robotics to subway subsystems, New York has technology to cover everything. Check out some cool examples near the Javits Center, home to Interop New York -- and beyond. Cybersecurity: How Involved Should Boards Of Directors Be? Security audit groups ISACA and IIA weigh in on what role the board of directors should play in an enterprise's cybersecurity strategies. After pilot involving infant mortality data, Indiana adopts SAP Hana in-memory database as foundation of new management reporting system, plans open data website for citizens. US Digital Service: Key To Making Government Agile? Effort to apply the lessons of HealthCare.gov is praiseworthy, but may not get at the root cause of problems with digital government services. State and federal customers are ramping up iPad use, says enterprise mobile software firm Good Technology. After Gartner analysts rank NetScout only a "challenger," Netscout files lawsuit alleging Gartner's rankings involve pay for play. Let's examine both sides of this street. In a lawsuit against the state, Oracle claims it is the victim of a smear campaign designed to obscure the state's project management failures. Why can't a simple formula replace the politically charged gerrymandering that's skewing our election processes? Legislative mandate to consolidate IT services has produced results, state leaders say. Cerner will spend $1.3 billion for Siemens' health IT business, says it will continue to support both companies' electronic health records software as part of a broader population health strategy. US State Department database used to process passports and visas still hasn't recovered from a crash last week -- leaving tens of thousands of people stranded overseas. Proposed FAA dividing line between model aircraft and drones is too limiting to hobbyists, says the Information Technology and Innovation Foundation and Academy of Model Aeronautics. Federal agencies have a hard time fitting innovation into their plans, let alone their budgets. Open data and open-source software help make innovation happen anyway. Federal Trade Commission must observe core principles of consumer protection, regardless of the pace of technology, Commissioner Julie Brill says. New manned spacecraft will use a flight computer adapted from jetliners for deep space missions to the asteroids and Mars. IBM-Apple Deal: Healthcare iOS Nirvana? IBM and Apple hope to use existing partnerships with healthcare software vendor Epic Systems and doctors' love for their iPhones and iPads to build an iOS healthcare software empire. Microsoft CEO Satya Nadella promises Worldwide Partner Conference audience that productivity tools will top the company's priorities in the age of mobile and cloud. With FIPS 140-2 Level 3 certification, the Imation IronKey portable USB-based workspace becomes a mobility option for both civilian and military agencies. Urban data map, bound for the Smithsonian by way of Esri's user conference, was created in partnership with Richard Saul Wurman, architect, graphic designer, and founder of the TED conference. Humanitarian organization Direct Relief uses mapping to visualize needs and plot the logistics of distribution before disaster strikes. VistA Core modernization and modularization will prepare the Veterans Administration's electronic health records system for the future. EHRs are commonly promoted as boosting patient safety, but are we all being fooled? InformationWeek Radio investigates. State officials, not shoddy software, stopped the consumer launch of the Cover Oregon healthcare website, Oracle reportedly says in documents submitted to Congressional committee. Should accessing an antenna and a DVR through the cloud be treated as any different under the law than doing so in your own home? Computerized reporting is useless when data is kept off the books. Social media analytics RFP seeks to sort serious from sarcastic threats against government officials. The startup Captricity uses a combination of crowdsourcing and OCR to digitize mountains of paper records, particularly for government agencies and healthcare. Health Data Exploration Project sees research gold in mining consumer health data from pedometers, fitness bands, and other gadgets. CMS updates, elaborates on public healthcare utilization, while FDA announces API access to its database of adverse drug reaction reports. Director Karen DeSalvo prescribes flatter structure for the Office of the National Coordinator for Health IT. LaunchPad platform combines health data with marketing-optimization strategies to bring continuous-improvement methodologies to medical practices. Physicians are wary of new healthcare payment models emphasizing quality and efficiency metrics, but hospitals are likely to prove resilient. Baptist Health CIO Roland Garcia reflects on his career and what he sees as the primary goal of healthcare IT: to improve care and minimize suffering. Hospitals find themselves implementing new releases of EHR software, certified to 2014 standards, almost as soon as vendors release certified versions. That's almost like implementing Windows 8 immediately after release. A hospital and an independent physician's organization use apps along with EHRs to improve ACO operations. Four-story 120,000-square-foot building will be first in the nation dedicated to telemedicine and remote monitoring programs, says Mercy Health. What's the best formula for value-based healthcare? Former HHS secretary Shalala and an insurance company CEO try to answer that question. Medical data privacy isn't as much of a worry as online banking data privacy for these patients, Accenture study finds. Healthcare organizations know they need analytic software tailored to accountable care organization operations and population health management -- but they're not sure where to get it, finds KLAS survey. To fix US healthcare, we must embrace the free market messiness of the Internet economy, argues Athenahealth CEO Jonathan Bush. Penn Highlands CIO Tom Johnson says going far beyond minimum requirements is the key to qualifying for EHR incentives. One example: a renewable energy firm wanted to implement more rigorous process management, but also needed to leave room to improvise. Oregon's troubled health insurance exchange votes to close down state website and send customers to the federal HealthCare.gov website. Healthcare organizations steam ahead with ICD-10 preparations, including hiring, despite delay of the new diagnosis and billing codes for at least a year. BaseHealth's Genophen service wants to reach consumers (through their doctors) with strategies for "modifiable risks" -- a more FDA-friendly approach. The shared pediatric diagnostic imaging system that Children's Hospital of Philadelphia and New Jersey's Virtua have created goes beyond conventional health information exchange. Medical image-sharing service aims to tap Nuance's customer base for voice-powered medical documentation technology. Kathleen Sebelius: Failed IT Project Manager? Sebelius didn't write the code for HealthCare.gov, but she is paying the price for failing to oversee those who did. Explorys uses combination of big data and specific patient data to improve care, lower costs. Healthcare organizations scramble to revise projects and maintain momentum after ICD-10 delay to 2015, says Deloitte's healthcare practice expert Christine Armstrong. The cloud EHR is particularly popular with solo practitioners because it's free, says Black Book Rankings, but Practice Fusion also gets high marks for desirable features. Delayed implementation of the new coding standard may bring relief to some healthcare workers -- but it's the worst possible outcome for project managers. With a 3D anatomical model on the iPad, Modernizing Medicine taps the power of touch to simplify electronic health records and medical coding. The Obamacare website faced heavy traffic on Monday, the deadline for open enrollment, and suffered problems. Congress is on the verge of delaying healthcare's new diagnosis code system for another year -- a relief to doctors, but a pain for CIOs. ...and the logic behind them. Sharing healthcare data among family members, with less concern for privacy, could result in better healthcare, says Zibdy Health. Postmortem report confirms diagnosis of weak project oversight, unrealistic goals, and poor performance by Oracle. HealthCare.gov has recovered from its rocky start. So why are state exchanges -- opened by enthusiastic supporters of the Affordable Care Act -- still suffering? Collaboration between IBM and the New York Genome Center will use Watson to match cancer mutations to potential treatments, compressing process from months to minutes.